Please click here to download these details. Please click here to view our Festivals brochure. This Group walks once a month in the East Devon area, usually on the 3rd, 4th or 5th Tuesday of the month, covering a distance of 7-10 miles usually as a circular route. The Group generally sets off at 10.00 am and completes the walk between 2.00-3.00 pm stopping for coffee and then a packed lunch along the way. There are around 20 members in the Group although between 6-14 men take part on each walk, male guests and well behaved dogs are always welcome to join the Group. New members are always welcome. Contact Malcolm Crabtree on 01395 568750 or by e-mail on rmcrabtree@waitrose.com. Held once a month in All Saints' Church hall at 8.15. A full English breakfast, friendship and fellowship all for £2.50 per head! The additional money collected at the last breakfast for Sidmouth Food Bank fresh meat vouchers amounted to £37.00 for them to distribute. Thank you to all the men who came last time for their generosity. To book for next months please contact Chas Heil by email charlesbheil@googlemail.com or on 01395 512583. 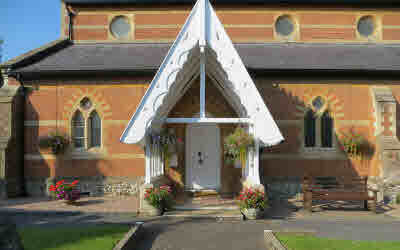 Events at Sidmouth Prayer Room will be published here. Dates, times and venues for all St Giles Church and St Peter's Church events are on the St Giles/St Peters calendar. Go to the St Peter's Church or the St Giles Church pages to view it. This group organises events to raise funds for St Giles Church, Sidbury and its hall, the Parish Room. Included in these activities are lunches, an annual outing and a barbeque. The Friends also provide helpers for the St Giles Church Tours which are held in the summer months. To join the group, contact Mrs Christine Boddington on 01395 576965. The subscription for 2016 is £5. This historic Grade one listed building stands on a site dating back to Saxon times and has many Norman features. Tours take place weekly during the summer, including a visit to the Saxon crypt. 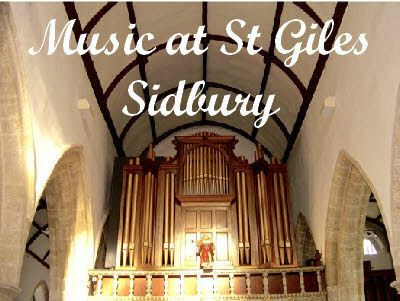 Three concerts per year are organised to raise funds for St Giles Church, usually in February, March and April. Dates, times and venues for all St Peter's Church and St Giles Church events are on the St Peters/St Giles Calendar. Go to the St Peter's Church or the St Giles Church pages to view it. Held weekly, this is an opportunity for a Thursday morning coffee and companionship. It is open to anyone who would like to attend. Proceeds from the event go towards the running of St Peter's Church. 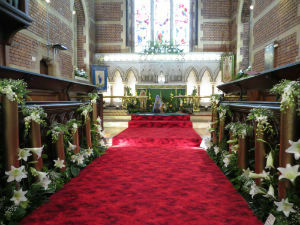 Flowers provide an attractive backdrop to special services and festivals held in St Peter's Church. Fund raising events are held to cover the costs involved. The festival was held on the 16th - 19th June. Click here for more pictures. Other occasional events are held. Some to raise money for the church, others are purely social. Details are in the Calendar. The Union is an international Christian charity championing stable family life. It supports families in promoting Christian faith and general development of their children. There is more about the charity on the Mothers Union website. Due to declining numbers, the Sidbury/Sidford group has recently combined with the Woolbrook group. 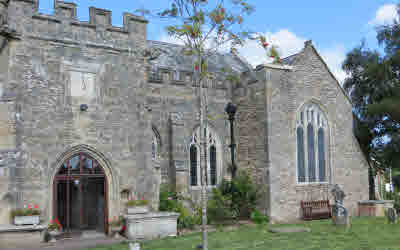 Meetings are held each month, often in St Francis Church Hall, usually with a talk from an invited speaker. 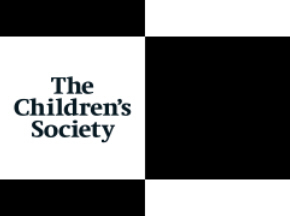 The Childrens' Society, founded in 1881, supports vulnerable children throughout the UK. The Bishop of Truro, Tim Thornton, is the current Chair of Trustees. Although working closely with the Church of England, it's services are open to all demominations. Their website has more information about their activities. Occasional fund-faising events are held in the Sidbury/Sidford parish. Next meeting or event for the Mothers Union or the Children's Society: view the calendar on the St Peter's Church or the St Giles Church pages.